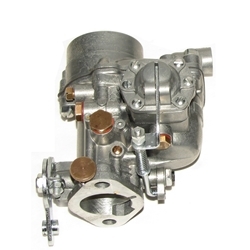 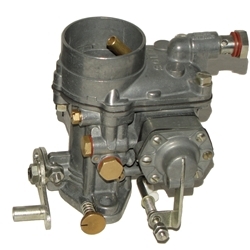 We have worked on all of the carburetors for Porsche, from the early single barrels, Solex 32 PBIC , Solex 40 PICB, and the many variations of early Solex Carburetors. 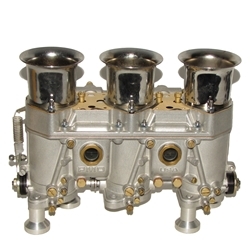 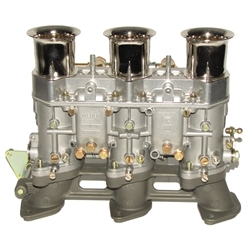 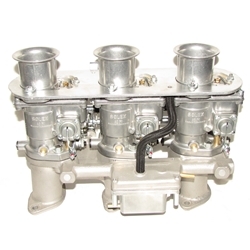 The next carburetor, the Zenith 32 NDIX is a strong carburetor for the later 356 Porsche cars. 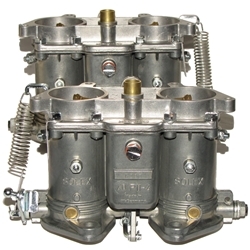 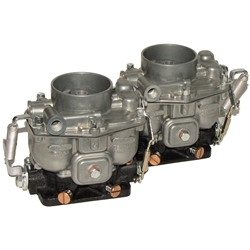 The Solex 40 P-II in solid and split shaft takes us from the 356 to the 912 and we are experienced in the parts needed for this popular carburetor. 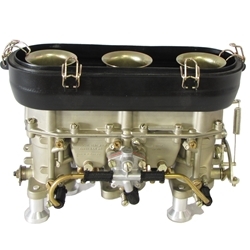 Moving on to the 911 and the Solex 40 P-I or the spill tube carburetor, where there are six separate carburetors sharing a single manifold with a recirculating fuel pump. 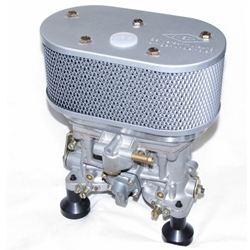 We are adding more parts for this Solex 40 P-I carburetor as we make them.